Your roof is our reputation. A roof over your head is one of the necessities of life, and a well-maintained quality roof will protect your home while enhancing its beauty and value. Linkville's experts can advise you on your roofing options, be it simply maintenance and repairs, or an entire re-roofing project. 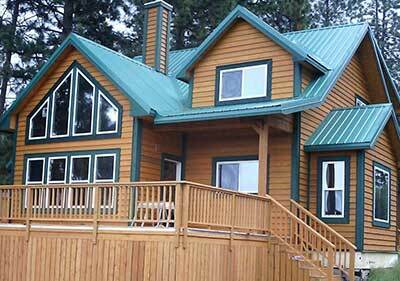 The Linkville team will craft you a beautiful, durable, correctly installed roof designed to meet your individual needs and to withstand the demands of our Southern Oregon climate. In addition to new roofs, we offer repairs and maintenance, inspections and consultation services for homeowners, real estate agents and insurance claims. Linkville's policy is also to address any faults or potential problems while working on a project. This can mean straightening a roof ridge line or correcting faulty ventilation. A lot of homes in Klamath and surrounding areas don't have proper soffit and attic ventilation, and this causes more serious problems like ice damming, mold, mildew, dry-rot and excess condensation. Here at Linkville Roofing & Siding we are GAF Master Elite Certified Contractor. Fewer than 2 of every 100 roofing contractors have been awarded this status and are among the “best of the best”. 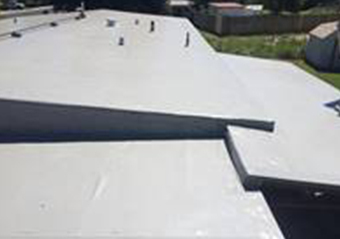 As Master Elite Contractors, we are required to maintain a certain level of insurance, be licensed by our state/province/ territory and be trained to install GAF products which means as GAF continues to innovate new products, standards, work processes and warranties we must have a commitment for ongoing training. When you hire us, it’s our guarantee that the finished roof complies with the high standards of GAF. Plus, you also benefit from very specific warranties only an Elite Contractor can offer. Our metal roofing team is specialized in the art of applying metal roofs that will leave your house looking beautiful and last a life time. Our Duro-Last team won’t leave you disappointed. We are dealer certified installers! Roof Inspections – Start at $250.00 and come with a detailed written report.